500 Years of Chicano History | !Que Viva La Raza! 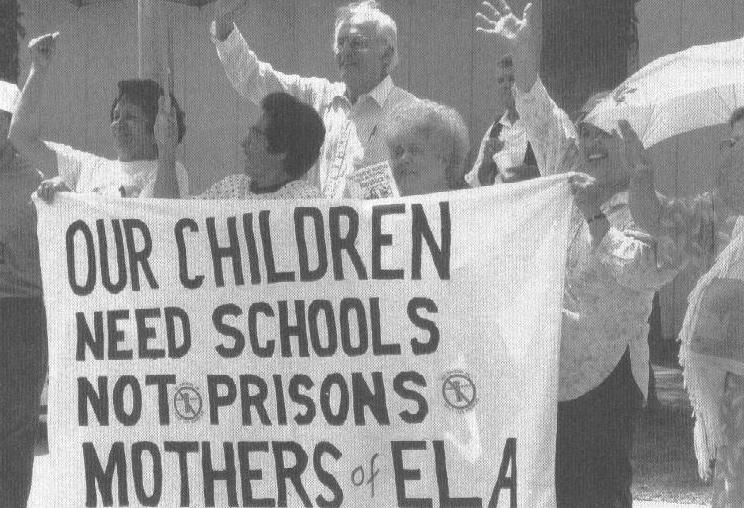 The Teacher Activist Groups (TAG), a national coalition of grassroots teacher organizing groups, coordinated a month of solidarity work called No History is Illegal, in support of Tucson’s Mexican American Studies (MAS) Program, that called on members to keep the ideas and values of MAS alive by teaching them in their classrooms, community centers, houses of worship and in their homes. TAG also posted MAS lesson plans on its website. Veterans of Nuestra Palabra: Latino Writers Having Their Say, founded in 1998 by Texas author and educator, Tony Diaz, united to become the Librotraficantes. They attracted national attention caravanning throughout the south west holding book readings, setting up book clubs, creating “underground libraries,” and distributing donated copies of the books that had been boxed and banned in Arizona. Scores of articles and essays have been written in a wide variety of venues—from local and national newspapers, to websites and scholarly journals. The conservative, anti-immigrant legislators and educators who led the campaign to discredit and then eliminate the Mexican-American studies (MAS) program in Tucson could not have imagined that the destructive actions they took in that one school district would invigorate the movement for ethnic studies in multiple states, including California, Colorado, New Mexico and Texas. Their actions also met with wide spread criticism from educators and civil rights activists everywhere. Even United Nations human rights experts criticized then Governor Jan Brewer after she signed into law HB 2281 which banned the MAS program. In California, in September 2016, Governor Jerry Brown signed Assembly Bill 2016 (AB-2016) which will establish a model ethnic studies curriculum for all schools in the state. The curriculum will be developed with participation from ethnic studies faculty at California universities and public school teachers with experience teaching ethnic studies. The target date for the adoption of the model curriculum is November 2019. In 2010, a coalition of students, parents, teachers, and community advocates had organized to win a pilot Ethnic Studies course in five San Francisco high schools. Four years later, Sandra Fewer, a San Francisco Board of Education Commissioner and former parent organizer authored a landmark resolution to expand the curriculum. The policy was passed, providing access to Ethnic Studies classes for every San Francisco Unified School District (SFUSD) high school student. In Los Angeles, after seeing the Tucson protests in the news, Jose Lara, a social-studies teacher wondered why his district didn’t have its own Mexican American Studies course. “What are we doing in our classrooms?” Lara thought. “What type of awareness are we bringing?” He said the ban in Arizona lit a fire for everyone here to think, “Hey, we should be doing something about this.” And so they did. A measure before the Colorado state legislature would strengthen the existing law which requires that a government class cover “the history and culture of minorities, including but not limited to American Indians, Hispanic Americans and African Americans, which has been a graduation requirement for a decade. The proposal would create an ethnically diverse commission to help school districts develop a curriculum. The Albuquerque Public Schools will roll out ethnic studies courses at all 13 of its high schools in August 2017, joining a growing nationwide movement to make education more inclusive for minority students. 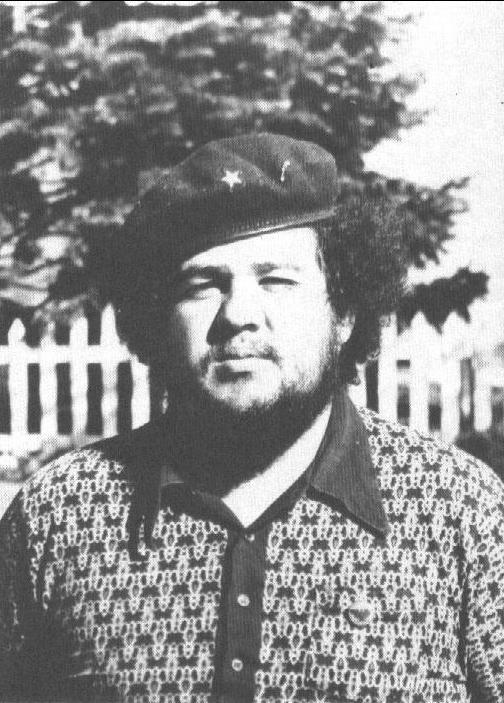 In Texas, after the success of the book-smuggling tour, Diaz and his fellow Librotraficantes started calling for the Texas State Board of Education (SBOE) to include a dual-credit Mexican-American Studies course when the state agency took up the question of new course design. The idea was espoused by Ruben Cortez, a member of the SBOE, who eventually convinced his fellow board members to allow schools to begin including ethnic studies courses. The Board also issued a call for a Mexican-American history book to be used to teach an ethnic studies class. Unfortunately, the one lone textbook that was submitted to the Board for consideration, “Mexican American Heritage,” was found by a committee comprised of professors and high school teachers to be racist and inaccurate and to not meet basic standards and guiding principles in the history profession. After months of assessment and protests, the Board rejected the book and issued a proclamation advertising for bids for ethnic studies textbooks for 2018. Despite the controversy which developed over the racist textbook, educators believe offering Mexican-American studies to Texas students could help stem the state’s high Latino dropout rate and they are working to build momentum to support the course offerings across the state, where more than half of public school students are Latinos. Their efforts seem to be paying off. In June 2016, for example, a Summit on Implementing Mexican American Studies drew more than 200 people from various parts of the state who set as one of their goals the increasing of ethnic studies programs in Texas. Organizers said the summit was the largest ever statewide meeting on Mexican American Studies in public schools. And in Arizona, the fight continues to bring back the banned ethnic studies curriculum that had helped to make an important difference in the education and accomplishments of many Mexican-American students, who in prior decades had been underachieving or dropping out of school. At another level, after leaving TUSD, several MAS teachers, including Curtis Acosta, Sean Arce, Anita Fernandez, Norma Gonzalez and Jose Gonzales created the Xican@ Institute for Training and Organizing (XITO) to help support the Latino community through teacher preparation, social justice pedagogy and community organizing. XITO provides teacher training (K-12 and university level) in researched best practices in culturally, socially, and historically responsive approaches that are highly effective with traditionally marginalized and underserved student populations, specifically Chicano youth. Today, after decades of practical experience and extensive research, proponents of ethnic studies in public schools can point to a variety of positive results, including how these programs have had a positive impact on student academic engagement, achievement, and empowerment, have helped them develop critical thinking skills, and promoted respect and understanding between students of different races and ethnicities. At the college level, the field of ethnic studies has produced a remarkable amount of innovative scholarship, much of which is creative and original. So why then has the offering of ethnic studies been met with so much controversy and hostility? Despite the abundance of evidence about the positive impacts of ethnic studies, many efforts around the country to introduce or expand these course offerings have been confronted with aggressive opposition. The programs and teachers have been labeled “anti-American” and accused of teaching divisiveness. Legislators in some states have proposed cutting existing courses altogether, arguing that they are “harmful” and “dysfunctional” and that they create social cleavages, giving the impression that none existed before. Tom Horne, the Superintendent of Public Instruction, who led the campaign to destroy the MAS program in Arizona, charged that “ethnic studies in the Tucson Unified School District (TUSD) teaches a kind of destructive ethnic chauvinism that the citizens of Tucson should no longer tolerate.” He further stated that “Mexican-American students should be taught that this is the land of opportunity, and that if they work hard they can achieve their goals. They should not be taught that they are oppressed.” His successor, John Huppenthal later chose to ignore the findings of the Cabrera Report and the Cambium Audit, two major studies that found that students’ participation in the MAS program led to higher graduation rates and to higher scores on standard Math, Reading and Writing tests, than for nonparticipants. Nonetheless, Huppenthal fought to keep the findings from being used as evidence in court, indicating his office’s “discriminatory intent” in abolishing the program. Teaching Tolerance, a Project of the Southern Poverty Law Center, contends that “the conflict over ethnic studies is equal parts xenophobia and political ideology, with white resentment and anxiety stirring the pot. While opponents target ethnic studies courses as divisive, they disregard how classes, textbooks and materials oversaturated with European and Anglo-American viewpoints are polarizing for non-white students.” Many concerned educators and community activists, both within and outside of Arizona, see the attack on ethnic studies in Tucson as a local struggle with broader implications. Some say that the legislation used to abolish the MAS program—State House Bill (HB 2281)—which was designed by conservative legislators and educators, is a blueprint for a larger national agenda—an overall anti-immigrant package of laws, policies and practices to intimidate and attack immigrants. Part of the method of operation of these conservative critics is to demonize, label as un-American, and question the patriotism of those who hold opposing views. And they have demonstrated that they will use whatever extreme measures they deem necessary to silence them. It is important to note that HB 2281 came at the tail end of State Senate Bill (SB 1070) which led to rampant racial profiling by authorizing Arizona police to detain any individual who did not provide documentation of evidence of US citizenship, particularly targeting Latino persons and other immigrants of color as part of an “immigration reform” initiative. Nine other states filed papers supporting Arizona’s immigration law, and two dozen copycat bills were introduced in state legislatures across the country, underscoring the reality that Arizona played a lead role in advocating hostility and resentment against immigrants. Educators, students and community activists are feeling particularly apprehensive and vigilant about what new steps the Trump administration will take to turn back the clock on gains made by people of color in such areas as civil rights, voting rights, and education, given his choice of cabinet members with conservative and reactionary beliefs and histories. For example, Betsy DeVos, his choice for Secretary of Education, has spent decades and millions of dollars persuading people that public schools and colleges are failing miserably, and advocating for vouchers and charter schools. She is expected to cut funding for public education, making opportunities more unequal for the 90 percent of children who attend public schools. Acknowledging that our public-school system needs improvements, defenders of public education say that the myth that public schools are a disaster was created and relentlessly promoted by charter school lobbyists such as DeVos. They contend that the future of the country is directly linked to how well the 90 percent of students in public schools are being educated, because they will be the nation’s future workforce, scientists, doctors, and political leaders. So, national attention and resources must be focused on making public schools as good as they can be. Those who oppose privatizing education, such as social activist and author of the book, The Shock Doctrine, Naomi Klein, say that educational research proves that “school choice” — state vouchers for charter and private schools — is not only ineffective in addressing the inequalities of public education, but it undermines “the gains of the civil rights movements, which guaranteed all children the same standard of education.” They also contend that “School Choice” is frequently an excuse to maintain racial and economic segregation, especially in states with large Black and Latino populations. Educators, parents, and students across the country are readying themselves to defend their schools and the social and economic future of the majority of America’s children. 1 “Although empowering Latin@s is one of our major intentions, many diverse youth have benefited from our classes – including Asiya Mir, my co-author for this article, who is a Pakistani-American.” Curtis Acosta, Empowering Young People to Be Critical Thinkers: The Mexican American Studies Program in Tucson, Voices in Urban Education, Annenberg Institute for School Reform, 2012. 2 The Hypocrisy of Racism: Arizona’s Movement towards State-Sanctioned Apartheid, Journal of Educational Controversy, Vol. 6, No. 1, 2012. Do you have a story to tell about a march, rally, walkout or protest that you or your organization organized or participated in? Have you or someone you know written a poem that you want others to read, or a drawing, painting or mural that you want others to see related to Chican@ history during the past 26 years? Please send them to us so that we can consider using them in Volume II of the book which we are working on now. We are also going to update the existing Video Viva la Causa, so please send videos or video clippings. The existing edition (Volume I) of the book 500 Years of Chicano History covers 500 years ending in 1990. That was 26 years ago. As you know a lot has happened since then that has affected the lives of our people. We need to learn about and share these stories of our communities during the last 26 years. If we don’t write our own stories, someone else may do it for us, as recently happened in Texas. Your help and contributions of materials will help us bring this history up to date. Along with the updated book and video, we are also preparing to add an online tool that will allow the global Chicano community to engage in telling their stories of the past 26, 500, and 1,000 years. Adelita Medina, a long-time activist in various struggles for social justice and peace, is working with us to collect those stories and videos. We’ve reached out to communities across the country, including Chicano Studies programs in universities and high schools, cultural curators, community organizers, youth, elders, and our own members. The response has been incredible, because many people in our communities (of all ages) want to learn about Chicano History. The first book was very well-received by thousands of people in our schools and communities around the country. This book was written pre-NAFTA, pre-expanded xenophobia since 9/11 and pre-expanded anti-immigrant (Mexican) sentiment in California, so who could have believed things could actually get worse! But they did. Time to rev up the movement again. This book was banned in Arizona by the racist school district but I’m telling you now!! That won’t stop me from reading and teaching my kids their roots and the fight of Chicanos for our rights !!! This book is a real treasure and a must have for every Chicano home. An old High School Teacher from El Cajon High School in San Bernardino teaches his Spanish class with this book…this book is wonderful. It teaches us how we learn most easily. I mean, most people like me who come from indigenous backgrounds learn orally and visually their traditions, and this book helped me learn about my history visually and literally too because it is bilingual…I love this book. It’s definitely a must buy for all Chicanos who want to teach their kids about their history. This book was very eye opening, it opens the minds of people to ideas that are not in our American “HISTORY” books. 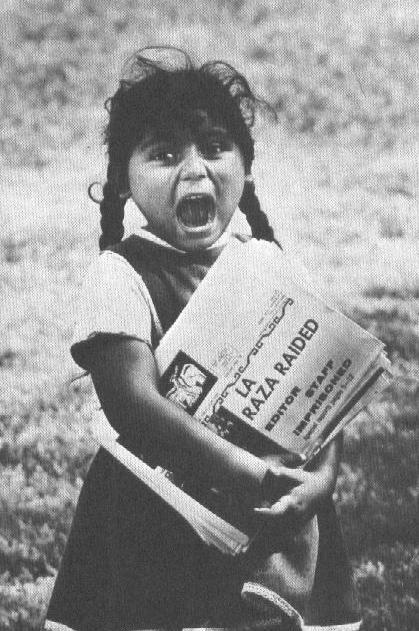 Besides reading about the struggles that Chicanos faced, it also has pictures (to visualize). The book is not only informative but empowering. Anyone working for Justice should read this book, because it encourages the reader to fight the fight. The SouthWest Organizing Project (SWOP) is investing in this project because we know that creating space to tell our stories is essential to our fight for justice. As you know, Chicano and Ethnic Studies are under attack in many parts of our country. In addition, we are facing an uncertain future with many challenges for Chicano communities and other people of color. Being able to learn about our people’s past stories of struggle and survival can help inspire us to be strong and meet these new challenges—united and with determination. SWOP has a reputation of being rooted in community, and part of that reputation is due to 500 Years. For 26 years, the book has been a powerful tool to illuminate and uplift the global Chicano community. With that in mind, we are committed to raising the money necessary to update 500 Years of Chicano History and bring it to as many people as possible. Tucson Bans 500 Years of Chicano History! 500 Years of Chicano History in Pictures, edited by Elizabeth Martinez and published by the SouthWest Organizing Project, is included in a set of primarily Chicano and Native American books that have been banned by the Tucson Independent School District. The school district says it’s not a ban, but the books were summarily removed from classrooms after the Mexican-American Studies program was eliminated. And teachers in that program have been instructed to not teach these books through the lens of ethnic studies. To us, this constitutes a BAN. The book was produced by the Chicano Communications Center in the mid-1970s. The reason for creating the book was to educate young Chicanos about their true history, an education they weren’t receiving in the schools. One of the staff people at the Chicano Communications Center who worked on the book, Joaquin Lujan, says the book was a critical component of achieving self-determination. He, like others, was taught growing up that his history was no longer important for his survival. He experienced, like many in his generation, the erasing of identity—expressed through language and culture—the minute he walked into the schoolhouse. “There was a need being expressed throughout our communities for a book that accurately represented our history as people of color in the southwest, so that our children had the tools they needed to understand themselves and the world they lived in,” Lujan says. 500 Years of Chicano History in Pictures, as well as the other books that are on the banned list, collectively demonstrate through their content and their inclusion together, the interrelated nature of the Mexican, Chicano, and Native American communities. In effect, the BAN is oppressive to students of color across the board, because it negates their histories, their shared experiences today, and their contributions to their communities. 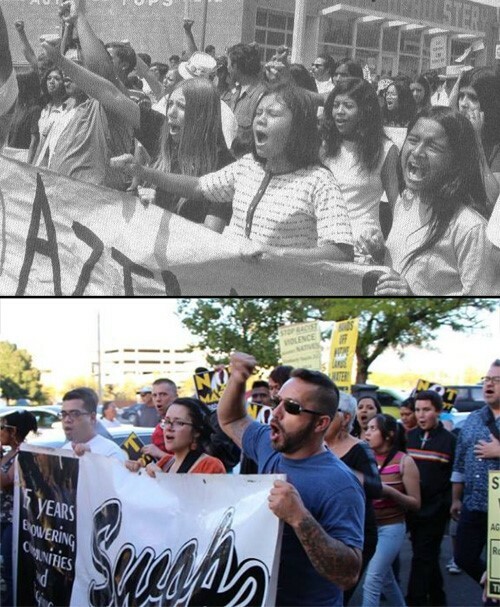 This BAN by the Tucson schools isn’t the first time 500 Years of Chicano History in Pictures has been banned. Previously, the book was banned by the Vaughn, NM Independent School District. Many teachers at that time, like teachers now in Tuscon, were outraged and saddened by politicians and bureaucrats telling them that they couldn’t teach students of color their history, which is critical to their full development as people. The book is $26.50 and that includes FREE shipping!